The simplest things can put a huge smile on your kids face. This is great for parties or just for a quick snack for the kids. 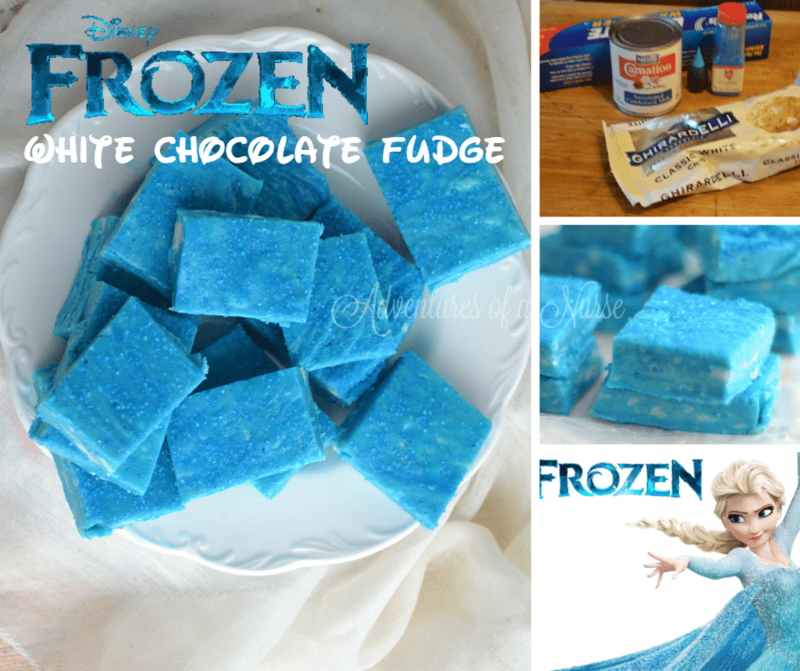 Disney Frozen White Chocolate Fudge easy to make and tastes great. Directions: Melt chocolate according to package. I used a double boiler. Remove from heat. Stir in sweetened condensed milk. 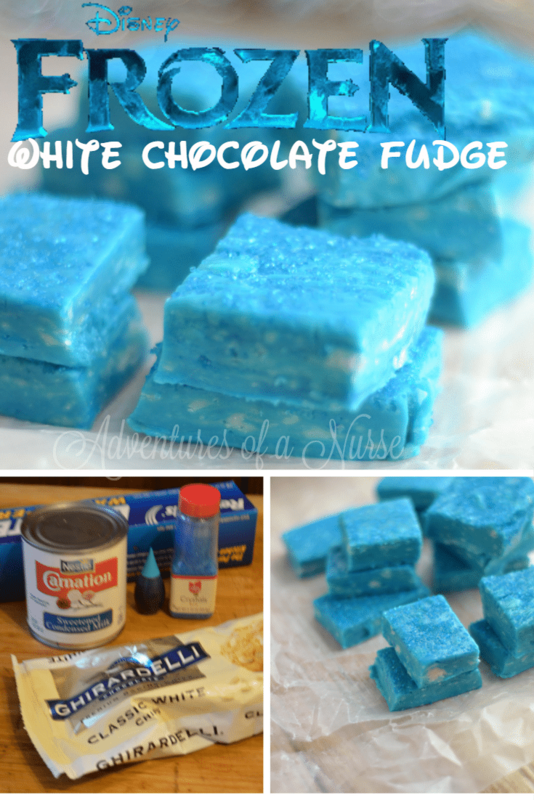 Add in 4-5 blue food coloring drops. Stir. Pour into a pan lined with wax paper. Sprinkle the top with blue sprinkles. Refrigerate unitl sets about 20 minutes. Cut into squares and serve. 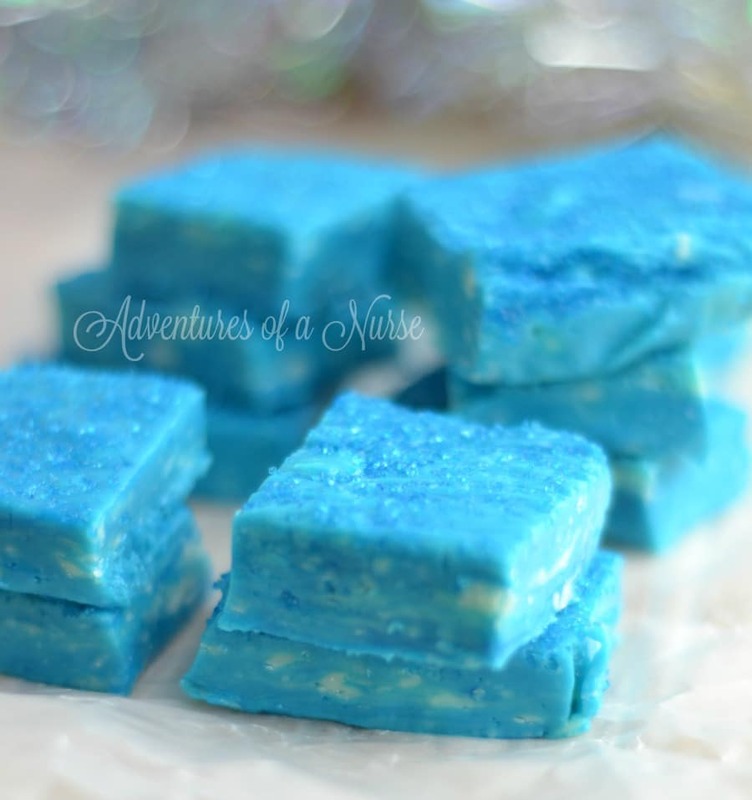 Holy cow that’s some blue fudge! How fun! These look incredible!Thanks so much for adding your recipe to the Delicious Dishes Recipe Party on Pocket Change Gourmet.